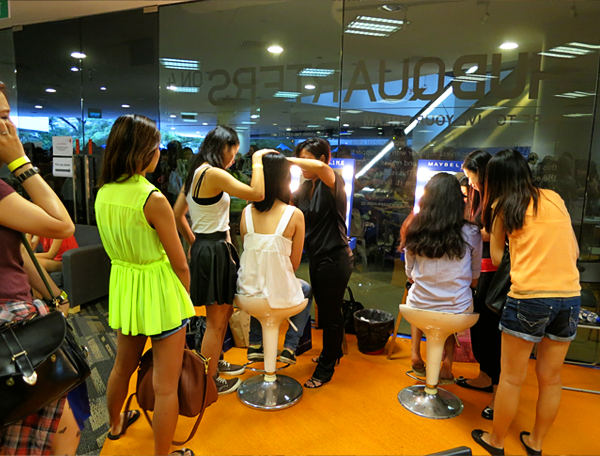 Right after the Etude House's Princess Princess Etoinette Launch Party (Click here to read! 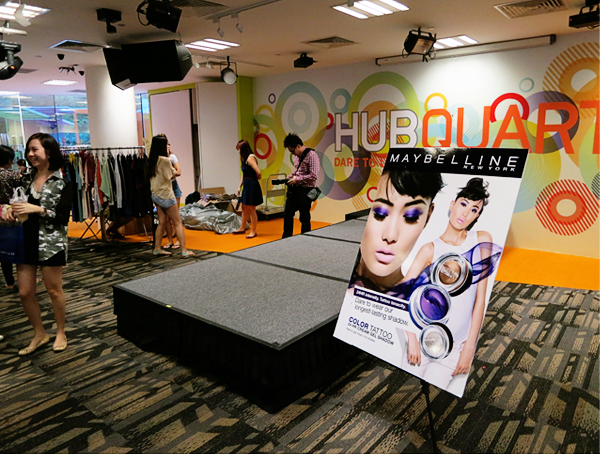 ), I headed to *Scape for Maybelline New York's Flea Event. The flea featured 8 popular blogshops and also gave an exclusive preview of Maybelline New York's Color Tattoo 24HR Cream Gel Shadows. Blogshops like Hollyhoque, The Tinsel Rack and VainGloriousYou were there. Free makeovers using the Color Tattoo 24HR Cream Gel Shadows were also available. 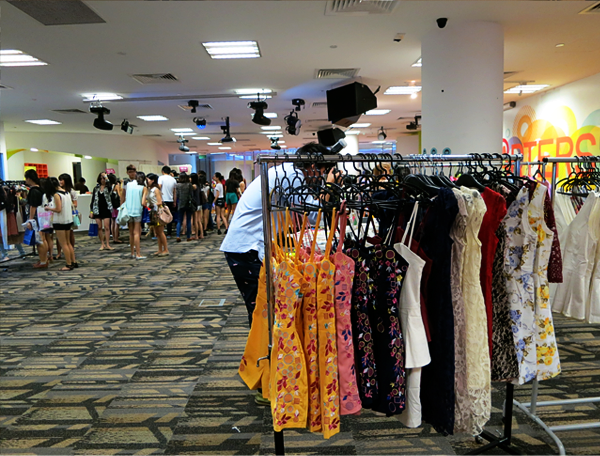 At 3pm, there was a runway show featuring clothes from the 8 blogshops. 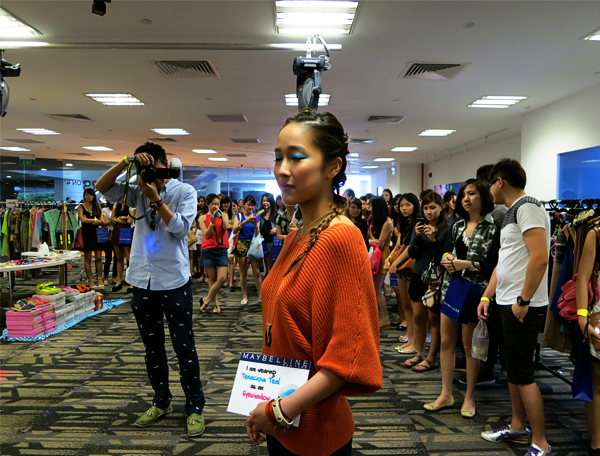 All the models had the Color Tattoo 24HR Cream Gel Shadows on their eye lids. These cream gel shadows can be used in 3 ways; as an eyeshadow, as a base or as a liner. 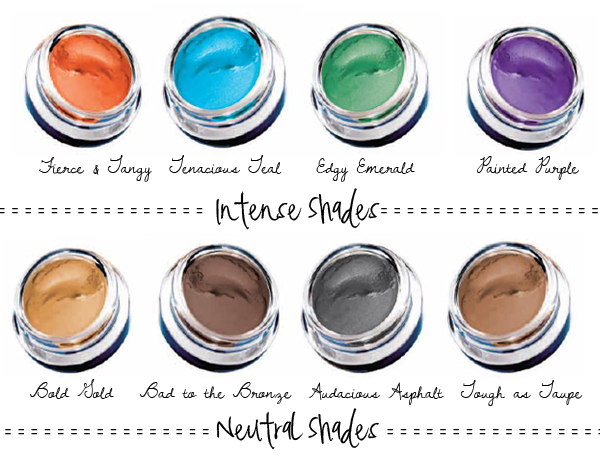 If the shades are a little too intense for you, layer your favourite eyeshadows over them. And do act fast because word has it that once these dry, they don't budge! Maybelline New York's are can be found in Guardian, Sasa, Watsons, selected department stores, major supermarkets and hypermarts at $15.90 per pot. For the month of January, they will be priced at $12.90 per pot.